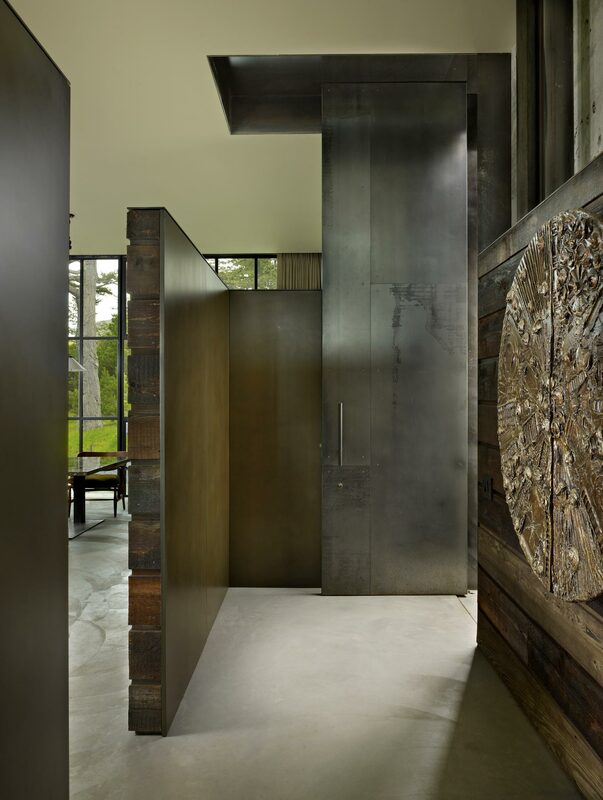 Designed by Olson Kundig, The Pierre (French word for stone) is a standout in design and construction. 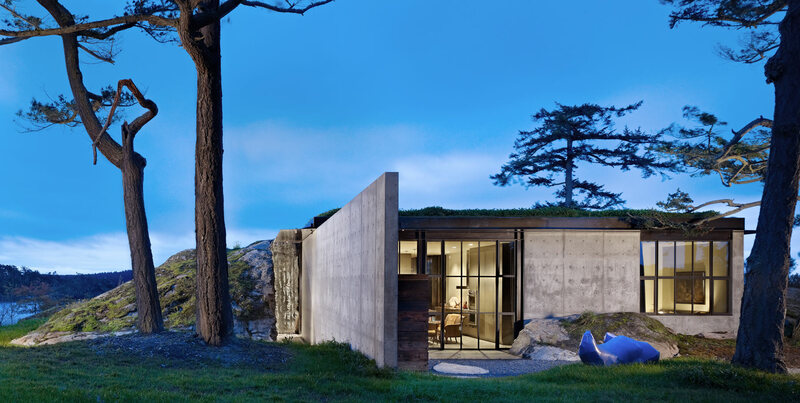 Cut into a rocky outcrop overlooking the Puget Sound on Lopez Island, the home is the first to win 2014 AIA Institute Honor Awards for Interior Architecture and Architecture. To bore through the stone, our team used dynamite, hydraulic chippers, wire saws and other hand tools, working with finer and finer implements as construction progressed. Excavated rock was reused as crushed aggregate in all the stonework, a reminder of the building process and a way to cut down on waste. 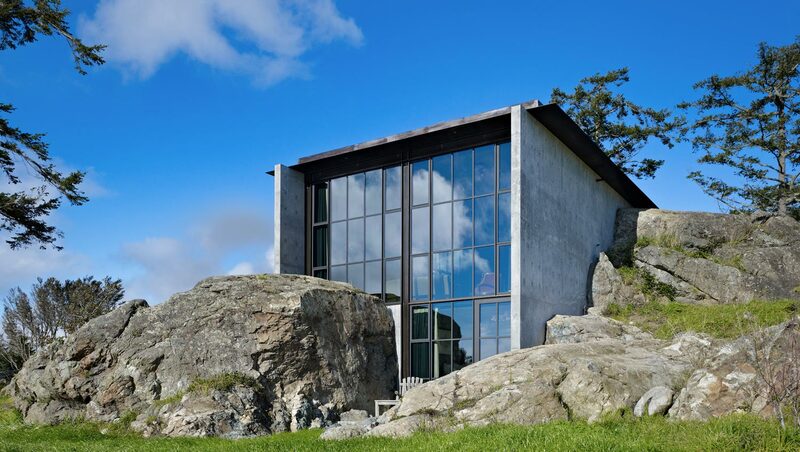 Huge pieces of rock were employed for the carport structure. Because rock breaks in it's own way, we had to respond and adjust to changes along the way.